We all want to be full of health and energy for the festive season, don’t we? So, if you do manage to get a sniffle, a headache, or a migraine from writing one too many Christmas cards, why not try a natural support for your immune system? Aromatherapy is basically just the practice of using natural oils (from stems, bark, flowers, roots) to enhance physical and mental well-being. It can be a bit complicated, as many remedies have lots of different healing properties. Due to popular demand, I’ve decided to write my first in a series of aromatherapy posts on headaches and colds! One of the best oils for easing a headache is Peppermint. I know for some, it can be a trigger for migraines, so please choose another oil from those I’ll be suggesting if that’s the case! If you are a migraine sufferer, it’s well worth keeping peppermint oil at hand, as it can lessen symptoms of nausea and noise/light sensitivity. You can dilute it in a little carrier oil (try sweet almond to begin with) and rub into your temples and back of the neck. I think it’s the cooling effect of the peppermint that does the trick – taking away some of the inflammation and heat. You can of course combine other oils, for extra benefits, or use some of the other suggestions below if peppermint isn’t for you. Basil is a wonderful oil, as the herb is a natural muscle relaxant. This will therefore work well if you have a tension headache. If you have fresh basil leaves, you can brew it up into a tea and sip gently. Otherwise you can add a few drops to a carrier oil, and massage into your temples. Lavender is a wonderful, relaxing herb. You can add this oil to any of the others above, or use it on its own with carrier oil. Again massaging into the temples. Lavender is very soothing and calming, so if it’s tension or stress causing the headache, this can go a long way towards relief. Try some on a warm compress with equal amounts of peppermint. 2 drops Orange Oil (replace with lavender if a problem for you). Fill the remainder of the bottle with sweet almond oil, and shake gently to blend. You may also choose to burn these oils in a diffuser, or inhale over a hot bowl (particularly good if the headache is due to congestion). Before moving on to colds and coughs, I much mention the powerful benefits of sandalwood oil, often used in Chinese medicine. It can be used on its own, with just a few drops in carrier oil, and massaged into the temples. A wonderful remedy for a headache, and such a fantastic and uplifting aroma. As colds and coughs are often viral, you will need oils that have strong anti-viral properties and stimulate the immune system. The first that come to mind are Tea Tree and Thyme. Both are great for fighting viruses, and thyme also improves the circulation, thus increasing the flow of white blood cells to the site of infection. They are great oils to inhale, and also to use in a diffuser, as they will cleanse the air around you. If you’re really congested, pop a few drops of Eucalyptus into a bowl of hot water and inhale (with a towel over your head). It gets right into your lungs and is a powerful decongestant. If you want something similar to Vicks Vapo-Rub, add a couple of drops of bergamot, lemon, cedarwood and eucalyptus to a small amount of sweet almond oil and massage onto your chest. You can also create a blend of tea tree (2 drops), peppermint (2 drops), eucalyptus (2 drops) and lavender (4 drops) into a 10ml bottle of sweet almond oil and massage above the upper lip and onto temples, to ease that blocked up sensation. If you can manage a hot bath, the steam will be great to clear congestion. Add 6 drops of tea tree into a little sweet almond oil, mix and add to the bath water. Don’t add it neat, or it will cluster on the top of the water. This will help to sweat the cold out. 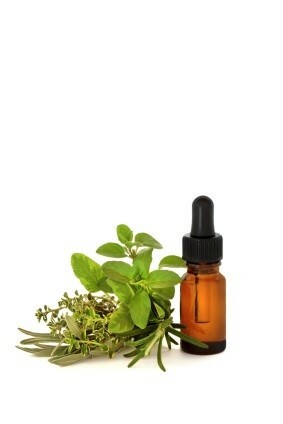 If you have the flu, oregano is a powerful anti-viral and anti-bacterial oil. Add this to any blends you make up, pop some in a diffuser, and even clean your counter tops and surfaces with a blend of it to make sure the virus is gone and stop it spreading to other family members. I hope this helps those of you who need it – here’s to a happy and healthy year ahead! Previous Post Random Christmas… On the First Day of Christmas, Adopt a Rainforest! Next Post Random Beauty… Mini Brushes are go! Sweet, short and to the point. I’m so pleased you like it – has it given you some info you didn’t know?